We have a client who seeks a fairly instant cloud box hedge to screen cars. 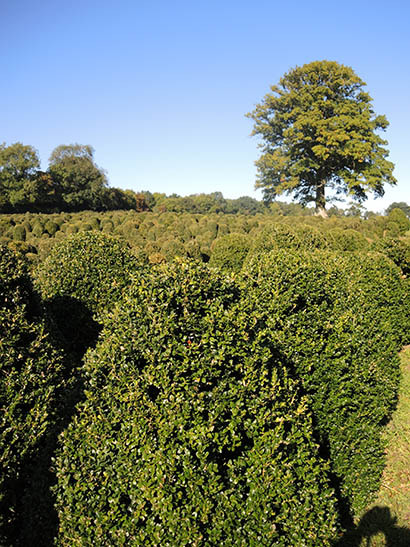 Earlier this week I was delighted to visit a marvellous grower and passionate enthusiast of one of my favourite plants, Buxus. The plant has had bad press over recent years because of box blight and, more recently, caterpillar. However it is possible to keep box plants healthy with judicious, yet not time consuming maintenance. Here are some of the plants that we intend to use to create the most beautiful, organically shaped cloud box hedge. 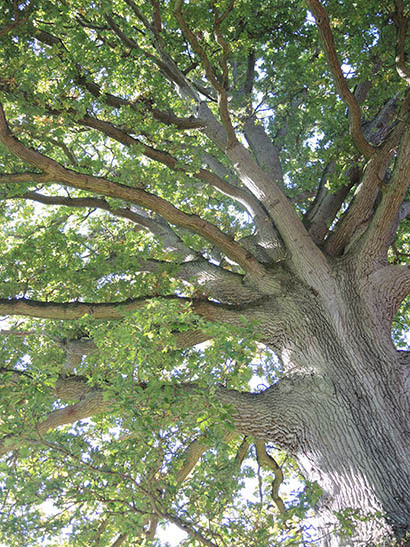 PS – what a magnificent oak tree too! Another of my favourite plants!